Hi! I am a brand new camera owner. I am in both the AEC industry as well as a Realtor, so this camera has a lot of crossover for us. 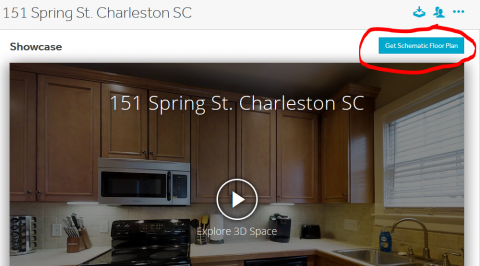 I am wanting to get viable CAD floor plans as well as try out the service Matterport offers for generating plans but am running into 2 issues that I was hoping to get advice on. 1. Where in the workshop can I order the floor plans? This must be so obvious that I am missing it. 2. We imported the .obj into CAD and there was not a straight line to be found, so we would essentially have to draw new ones over what was imported, while losing accuracy in the process. We don't use Revit, so how can I generate better plans directly from the camera. I have been reading a lot of threads and already learning a lot. Thanks in advance! I don't know the answer to your second question, but you can find the button to order a floor plan here. This button may not be there for you. If that is the case, go to your account settings and under the Account Tab, enable plan add-ons. ✓ Matterport for Construction Projects? Thanks so much - I have a storage file issue, related to the iPad, I'll look for the right thread to post that - thanks Dan! Ahhh I would have never known to go into my account settings to allow that. Thank you! Also thanks for the links Dan, I'll read through them.